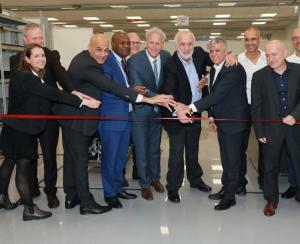 PETACH TIKVAH, ISRAEL, February 7, 2019 /EINPresswire.com/ -- Petach Tikvah, Israel – February 7 2018 – GenCell Energy1, the Israel-based fuel cell power solution provider, today announced a strategic partnership with global production company, Flex2, and the launch of a new jointly-designed production line. Following strong global demand for its fuel cell solutions, this collaboration will enable GenCell to scale its manufacturing capacity to support the company’s rapid growth strategy and mission to replace polluting diesel generators with affordable clean energy. Operating manufacturing facilities across the world and employing approximately 200,000 professionals spanning 30 countries, Flex provides GenCell the expanded production capacity to manufacture and deploy its backup and primary power fuel cell solutions at scale. 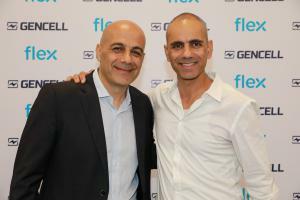 Flex will start producing GenCell fuel cells at its manufacturing facility in Ofakim, Israel, with other production lines set to be opened across the globe in the future. Providing an ultra-reliable continuous source of backup and off-grid power, GenCell alkaline fuel cells are used for applications where the continuous supply of electricity is vital, from telecoms to homeland security and niche automated industries, and most recently at an intensive care unit that is drawing further interest from hospitals worldwide. Powered by hydrogen and ammonia, the solutions generate reliable, clean energy, ensuring the fuel source remains carbon-neutral and highly-efficient, and feature the capacity to be monitored remotely using advanced IoT capabilities.